Having recently invested in an industrial machine, I wanted to share. I am only giving a small peek as I had to crop my work schedule whiteboard, which is to the right. Not that any of you would be able to read my scribble, though I am quite sure that you’d try being that the customs list is on in it. The machine is powered by a 5.6 Amp motor under the table with a clutch activated belt drive connecting to the upper assembly. With all this torque it cuts through multiple layers of fabric effortlessly. The biggest challenge and been learning to control the speed and power, a challenge I welcome. Stinky Couture™ was one of the first cloth diaper designers to be introduced to what we refer to as the new blue superhero….ZORB™. ZORB™ is a specialty textile designed to improve the performance of cloth diapers and accessory products. ZORB™ absorbs 10x it’s weight in less than half a second — that’s 20x faster than cotton, bamboo or hemp. ZORB™ has incredible holding power too, a single layer holds up to three times the moisture of the best absorbing knits. Initially we began testing ZORB™ with a local group of parents. We were so very impressed with the results that we will be incorporating the new blue superhero in all Stinky Couture™ soakers and doublers unless specifically requested otherwise. We will be sandwiching ZORB™ in between layers of Organic Cotton Bamboo Fleece and/or Bamboo Velour (Organic 70% Bamboo / 30%). ZORB™ is soft, rinses easily and dries extremely quickly as well being non-toxic and non-allergenic. Though we recognize that ZORB™ is made from a proprietary blend of natural and man-made fibers, the benefits we feel are worthwhile. It is our belief that the energy savings gained by less wash cycles and quicker drying times make this a win-win for parents and the planet. 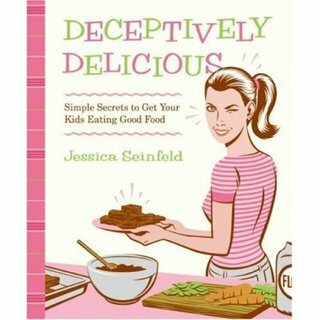 Deceptively Delicious: Simple Secrets to Get Your Kids Eating Good Food is an absolute “must have” for any of us that struggle with combining creativity and vegetables! haute couture . . .
What is haute couture? As defined by Stinky Couture™ it is made to order for each baby’s needs. Luxurious cloth diapers made from high-quality, hard to find and often out of print fabrics that are sewn with extreme attention to detail and finish. Comfort, function, beauty, Stinky Couture™.